An important part of the OperationSAFE child trauma psychological first-aid intervention is to collect data on the emotional state of children after disasters and their progress toward recovery. The survey has been developed by Dr. Alan Oda and Dr. Emiko Koyama who are conducting ongoing research. Volunteers use a questionnaire assessing seven categories for each child; general health status, attention level, activity level, affect, sociability, general appetite, and reaction to conflict / distress. Questions were designed to assess somatoform issues (DSM-IV Axis III), depression, post-traumatic stress disorder (PTSD), the child’s coping skills, shock, and stress. Each question allows the volunteer to rate the child on each category using a 1 – 5 point Likert scale. 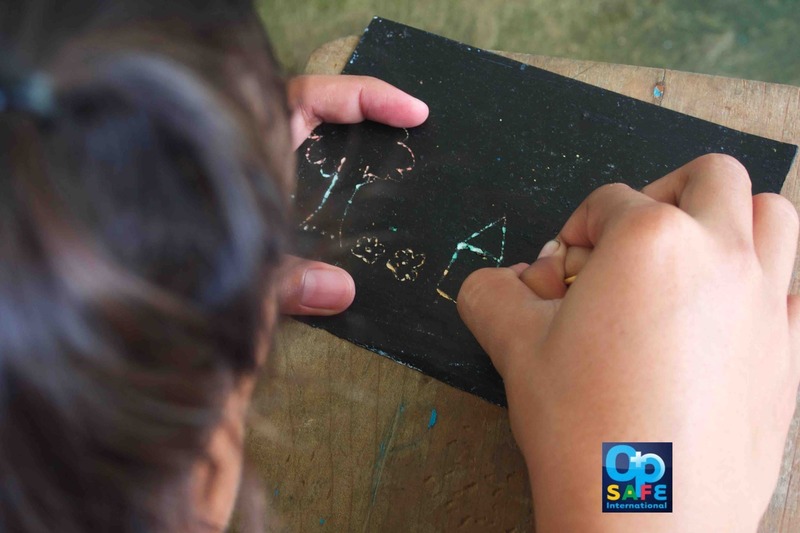 Two observations are recorded for each child, an initial baseline assessment before the start of the OpSAFE program, and a second report after the one week OpSAFE program. 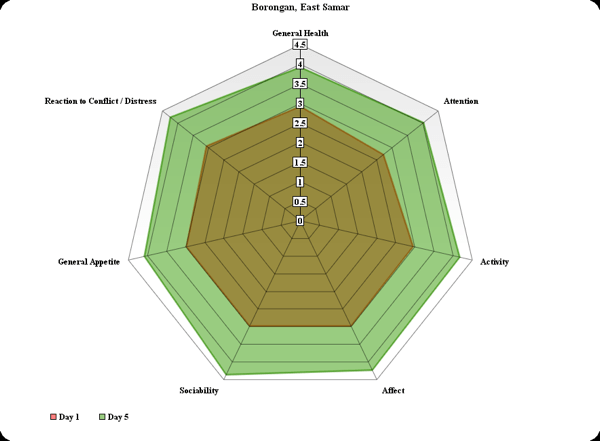 The online assessment tool has been developed using the KoBo Toolbox (Harvard Humanitarian Initiative).